Sutton Place is considered amongst New York City's most affluent neighborhoods. The area is know for featuring upscale apartments that are styled to perfection. The clients of this specific condominium wanted their window treatments to augment the modern, plum-colored décor that already adorned the home. Vogue Window Fashion incorporated Roman Shades into this unit to add character without clutter. 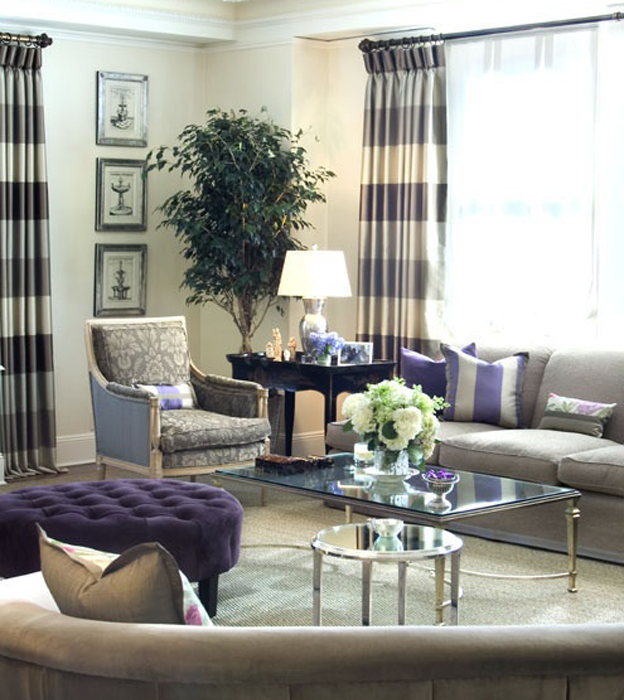 They added matching pillows and printed drapes to tie all the elements together. By exercising creativity and using their keen professional eye, Vogue brought this residence to life.